The slideclock tells time with linear motion. 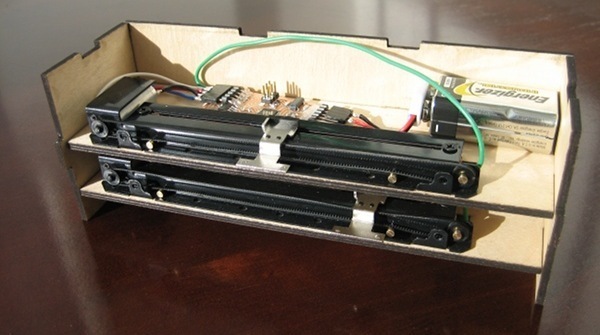 It is made from laser-cut wood with custom control PCBs; two motorized linear potentiometers are used to control the sliders. The system is controlled by a custom PCB, which includes an H-bridge and a 32.768 KHz clock crystal.